The iPad is an exceptionally useful device for work and play, I now take mine everywhere. 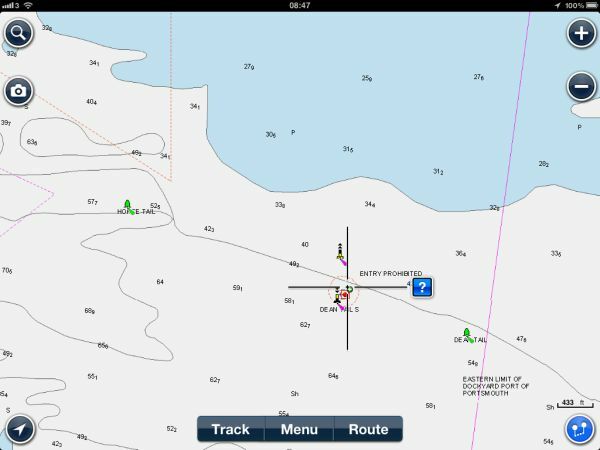 Navionics provide their Chart plotter Apps for Andriod, iPhone and iPad, turning your device into a fully functioning plotter. You need an iPad or tablet with a built-in GPS. On earlier models this only came with iPads that could also take a SIM. You didn’t need the SIM installed. 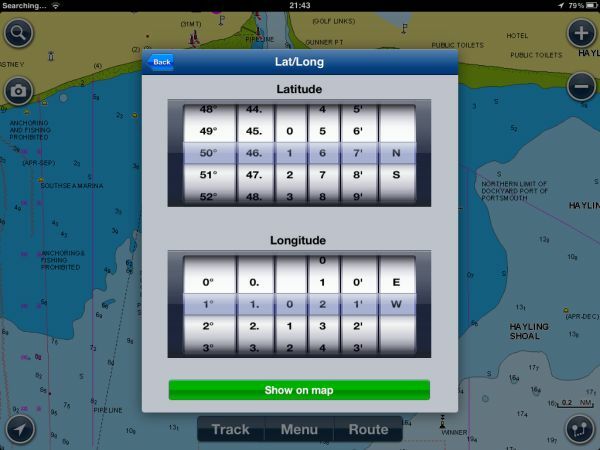 To install Navionics on the iPad you simply buy it through the App Store. Although the iPhone app is cheaper and will work on the iPad, the resolution is not as good as the dedicated iPad version, and in my opinion it is worth paying the extra. 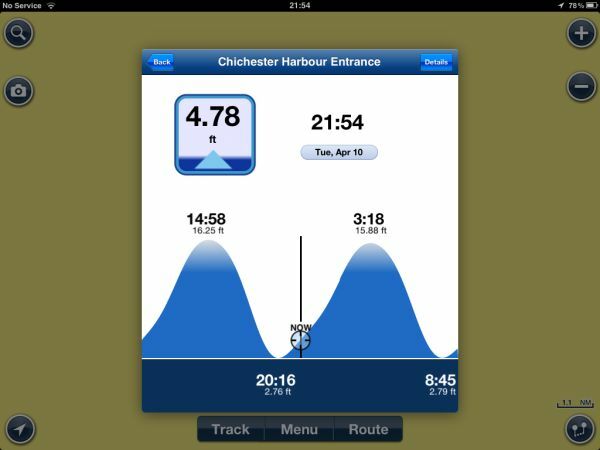 The charts are exceptionally detailed, and the user features are accessed in true iPad style making it very easy to use. If the iPad was a rugged all-weather device it would be perfect, unfortunately it is not so your iPad amd Navionics plotter is best used either as a backup, in the security of the cabin, or at home to plan your trips with. There are some great additional features, including extensive marina information, marine and outdoor shops, marine repair, boat dealerships and waterfront restaurants. In selected locations there are full tidal profiles and currents. One of my favorite features is the Community Layer. This is additional information that we, as anglers, divers and others in the water sport community can add and share our own information. 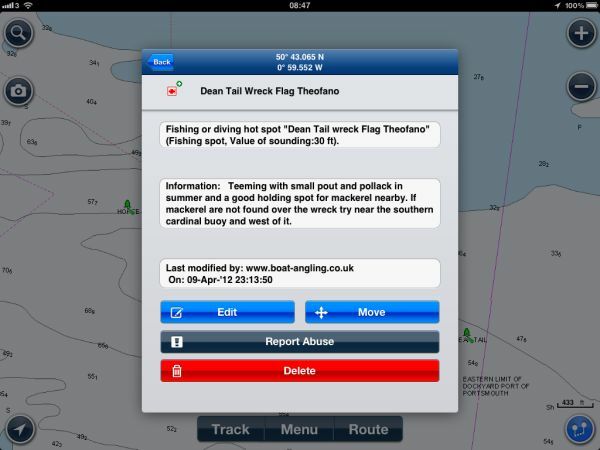 You may have to zoom in to see this, but www.boat-angling.co.uk has been doing its bit to contribute by posting all the locations from the Fishing Marks page onto the Community Layer. 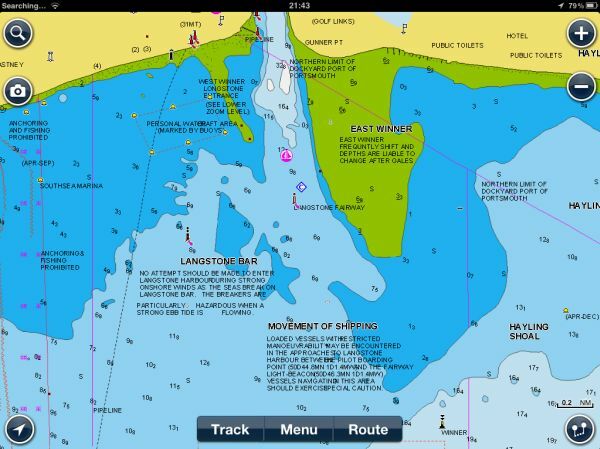 Navionics Applications can be downloaded from the iPad Applications Store and installs within minutes. To contribute to the Community Layer you have to register, but you do not have to register to view content from other users.